Alia is said to be extremely close to her family and is often spotted on lunch dates with mom Soni Razdan nd sister Shaheen Bhatt. 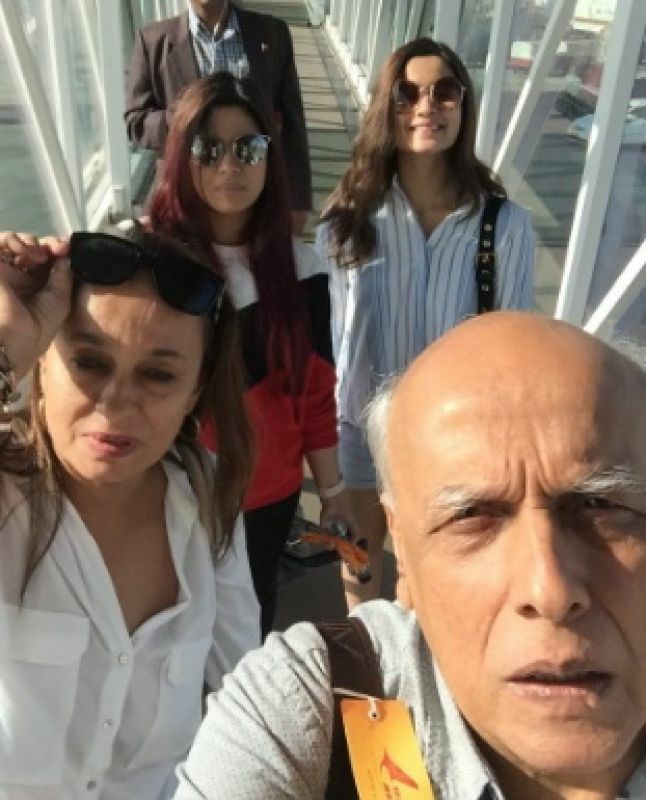 In a recent chat show Alia said that her father, director Mahesh Bhatt, takes pictures of her all the time(Pic courtesy: Twitter/ MaheshNBhatt). 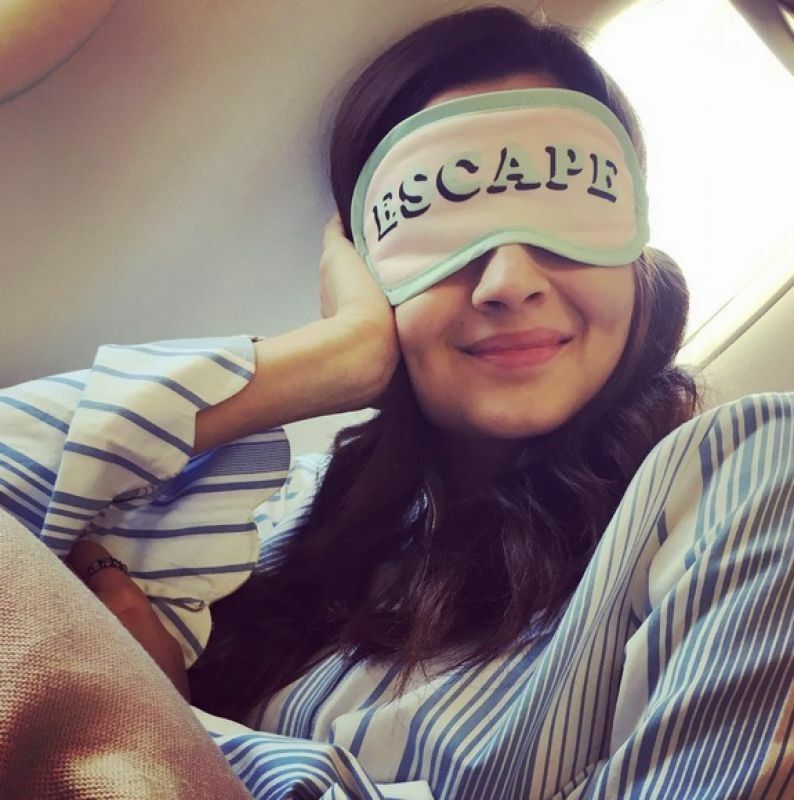 Mumbai: They say ‘all work and no play makes Jack a dull boy’ and Alia, most certainly, does not want to end up like Jack. She knows the importance of striking a perfect balance between work and personal life. Alia, who’s lately been keeping extremely busy with ‘Dear Zindagi’ promotions and ‘Badrinath Ki Dulhania’ shooting, has finally taken out some time for her loveable family. The four-member family is headed for a holiday to the exotically beautiful Maldives. 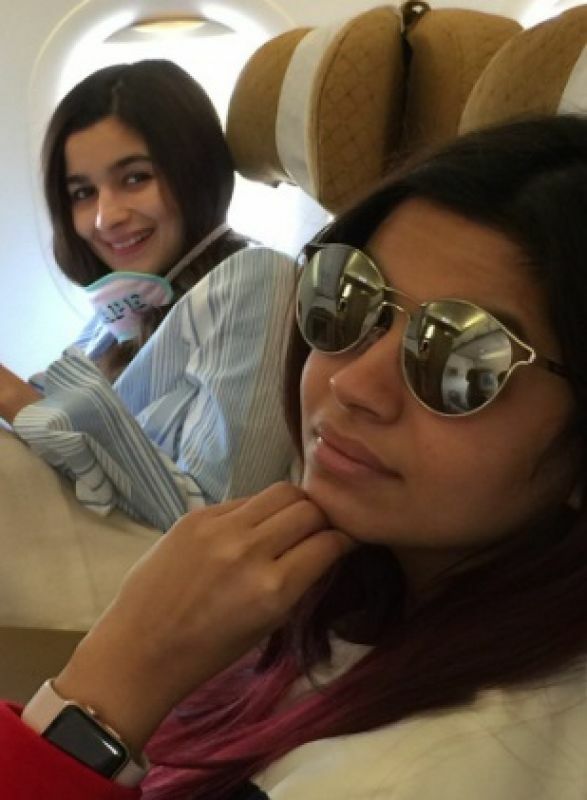 On social media, Papa Bhatt has posted a picture of his two beautiful daughters on the plane, captioning it: We are going on a family Holiday. No more working for a day or two!! 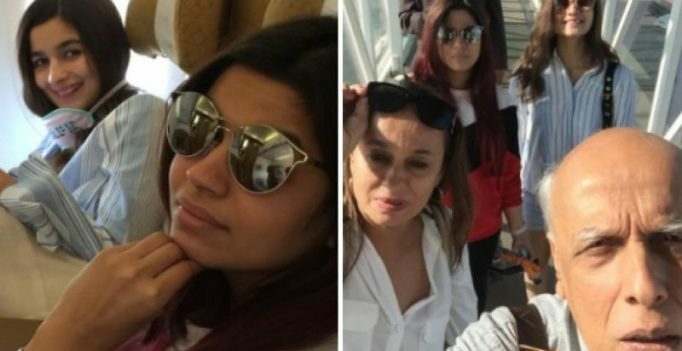 The close-knit Bhatt family seem to be one another’s pillar of strength– from birthdays to something as serious as battling depression- the girls and their parents have always stuck with each other. 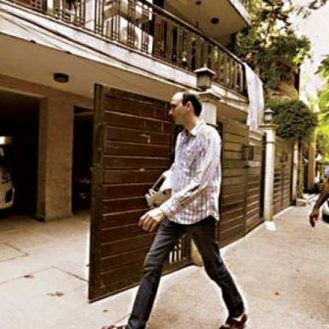 Recently, Alia and sister Shaheen shifted to their own house which is located at a close distance from their parent’s home.